Today I'm here to talk about an item that has been causing a bit of a stir in the beauty world lately, the PMD, aka, the Personal Microderm. I was recently offered the chance to try out using The PMD and having already read a few reviews, I was pretty excited to give this little device a try. Can I just point out that it's pink? Now you can pick other colours but by now I think you all know that I'm a huge blogging cliché and if I have the opportunity to try anything pink coloured, I will, also, note the marble background... I couldn't hold out on that cliché anymore either, sue me! Anyway, back to the PMD, so what does it claim? 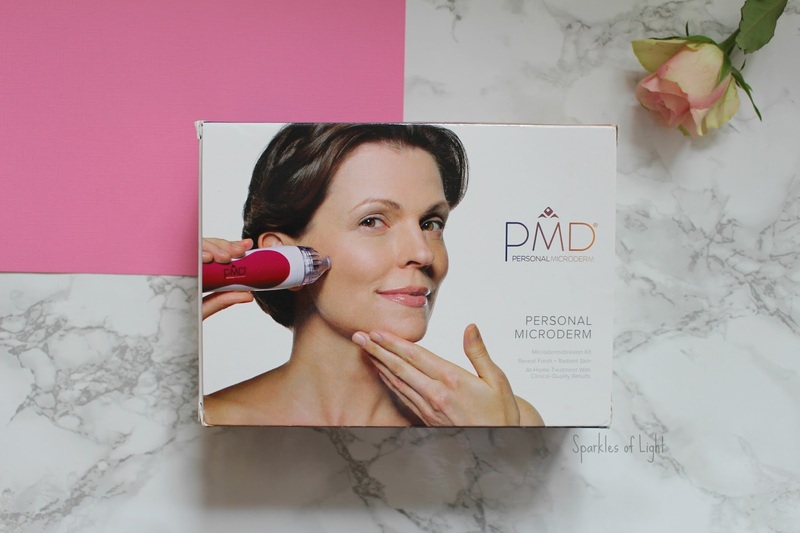 The PMD is said to deliver the same anti-ageing and skin purifying results as microdermabrasion treatments available in medical spas and salons but, as you're doing it from home, it costs only a fraction of the price. 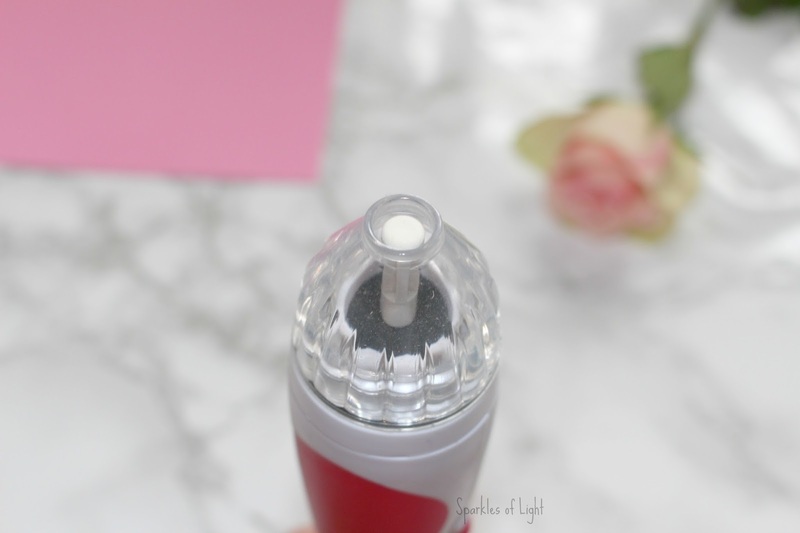 It combines exfoliation with a vacuum suction to leave skin brighter, smoother and more rejuvenated after a few weeks of consistent use. The PMD is easy to use, as you can see there's a sliding 'Off - On' switch which starts everything off, I tried it on my arm before putting it near my face first because if you're going to lose your skin you have to prioritise, luckily no skin was ripped off, no pain was felt and I was confident enough after that little toe dip to move on to my face. The first time felt weird, it's a strange feeling to glide something that's making a noise and sucking with quite some gusto across the contours of your face but once the first time is over, it becomes a lot less daunting to use because there was no pain, no discomfort, no redness or any indication I had just used a tool on my face. Continued use will see the reduction of fine lines and wrinkles along with an overall improvement of skin tone by fading uneven pigmentation, sun damage, age spots and also a reduction of the formation of acne because it helps clear out pores and make skincare more effective by removing the top layer of dull and dead skin cells meaning your chosen skincare can penetrate up to 20x deeper. If you think this all sounds a little confusing, the PMD comes with an instructional DVD to show you exactly how to use your new device but once you try it out, I promise it's actually really easy. So I've been using my PMD for 6 weeks now and I've definitely noticed a difference to my skin, my face is so much softer to the touch and I feel more hydrated from the effects of my skincare now, I have come to enjoy my tuesday night PMD ritual and I'm going to keep using it weekly because the PMD Website states that users are likely to notice a reduction in fine lines after 8-12 weeks use and I'm really really down for that! I'll post an update in a few weeks and let you all know how it is going but as we stand, I'm really excited about the PMD and the journey it is taking my skin on and for £135, it definitely works out a lot cheaper than several trips to skincare spas! 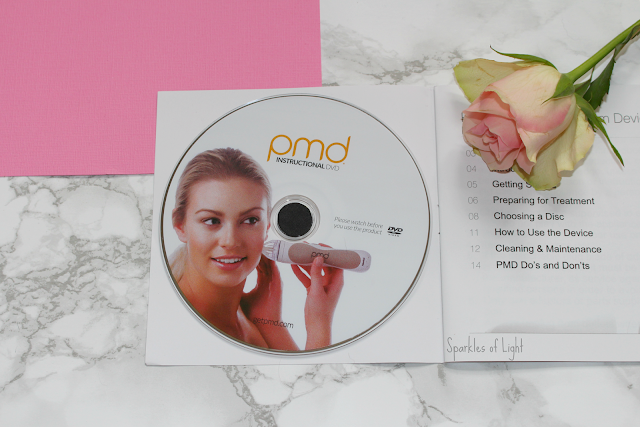 Have you tried the PMD? I'd love to know your thoughts. This seems interestingly good and worth a try. Thanks for sharing, hun. Oooh I think I've seen these before. I'm glad that it's working for you, it looks like something I wouldn't mind trying. Ooh, this actually sounds really intriguing - I've been wanting to step up my skin care. I think it's something I definitely need to try! I really need to invest in some good skin creams next. I see these all the time in beauty & makeup stores, but never knew what they did. So glad to hear they are painless. That would be a big concern for me. So cute and beneficial. Would love to get one! Thanks for this review. I love the sound of this! I can imagine testing it out for the first time would be a bit scary but it sounds like it's already working well. I'm forever wanting to try spa treatments like this but always favour things you can do yourself at home. i never heared about this look before but it sounds amazing. I definetly have to test it. I had never seen this product. Since I have rosacea I try not to be too hard on my skin. A scrub during the shower once a week does it for me. Ooh definitelky stay away from it if you have very sensitive skin! Anything pink instantly draws me in! No one can do flatlay like you. Amazing product. Looks intriguing! Want to check it out :) Thanks for sharing love! interesting! Anything that promises to improve my wrinkles without sticking a needle in me is a win win in my eyes! This seems so cool, I think I've seen this on Macy's Christmas in July Sale, seems cool. I wish we had Christmas in July here haha. I agree, I'm sometimes worried about messing around with spa style toold in my own home. Nice! I'll be honest, I've always been a little skeptical of products like this but that's awesome that you've had good results! And the price is definitely good. I'll have to look into it! I'm always super skeptical too if I'm honest. I think I've seen this product now and again online. It's nice to see a review of it. 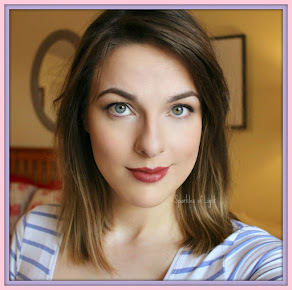 Like Julia above, I don't tend to use these sorts of products- although my acne-scarred face could really use it! However, since you speak so highly of it, maybe it's worth pursuing further! I never tried any of this kind of products! It looks great! I hadn't heard of this, Rosy!! But it sounds like something we could all use! Can't wait for your update - sounds like such a nigty little skincare device. Did you say reduction in fine lines? I mean that's amazing. I must try and get my hands on this. Sounds really interesting! Have a great day! Seems like an awesome product. Do keep us posted on how the final results look. I wonder if it's effective on stretch marks? I actually don't know, I might have to look that up.